Beacons are simple and functional devices benefiting from the development of cutting-edge information technology. Utilizing the achievements of BLE (Bluetooth Low Energy), microcomputers can contact our smartphones or other devices in a very short time. These small devices signal their presence constantly. The unique signal they emit is received by a dedicated mobile application and allows contacts with the user by sending personalized communications or activating certain functions in a telephone. BLE technology also guarantees the long-lasting use of beacons, as one, non exchangeable, unconvertible non replaceable battery enables two years of use. The applications of beacons seem to be limitless. These small devices enjoy increasing popularity in the medical market. 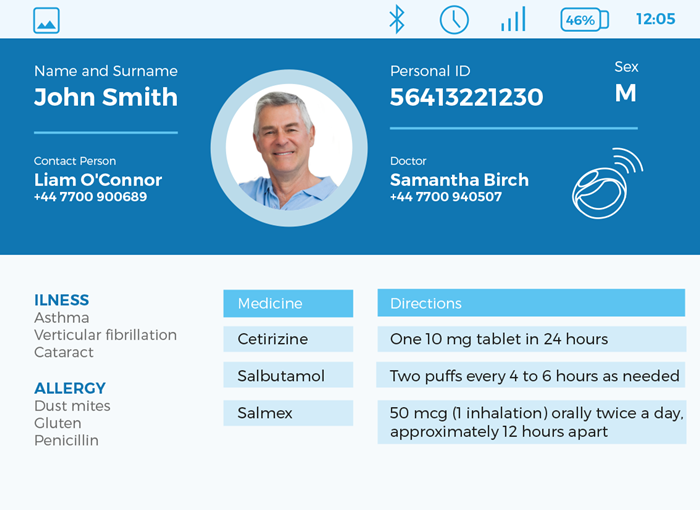 One of the examples of their use is the Life Card developed by Comarch Healthcare. 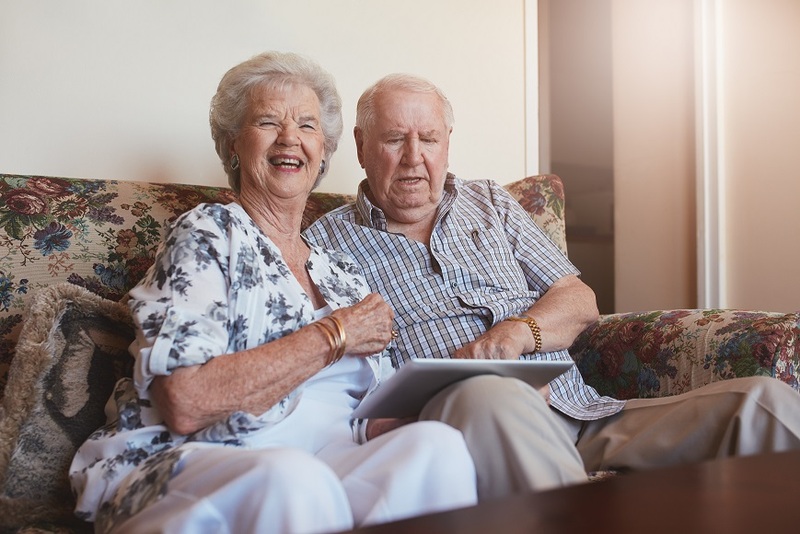 Electronic Life Card, dedicated to seniors and chronically ill patients, consists of two elements. These are a beacon acting as a carrier of data on the patient’s state of health, and a dedicated application where this information is read. Upon entering a home where the Life Card transmitter (beacon) is situated, the paramedic or physician can read – on a tablet or other mobile device equipped with a suitable application – all the information that might be needed to save the patient's life, even before emergency actions are undertaken. The data accessible to the person rendering assistance include, for example, medication taken by the patient, their blood group, diseases or pathological states, and even allergenic agents. The data, which can be viewed by the person providing help, also include telephone numbers of the patient's caregiver and doctor, and the direct phone number of the medical unit where the patient is treated. The Life Card can also be used as a button to make an emergency call in the case of a sudden deterioration in the patient's state of health, allowing a paramedic to be contacted or ambulance to be called efficiently. The modern Comarch Healthcare solution was the topic of our talk with Mr. Robert Olejniczak, a Comarch Healthcare System Architect. His answers to the most important questions are given below. How Does the Electronic Life Card Work? Life Card is a personalized device containing a carrier of data pertaining to the given patient. A physician or paramedic reading the information from the Life Card via a mobile device (smartphone or tablet) obtains complete information on the patient. It is particularly important when direct contact with the patient is impossible, for example when they are unconscious. Thus the rescuers are able to take relevant decisions and render immediate help to the patient. How Can You Become an Electronic Life Card User? Implementing the use of Life Card depends on the authorities organizing emergency stations, which at present is done at regional level). If the emergency services are provided with Life Cards, then the rules of allocating them to the inhabitants of the region can be determined. Is it Necessary to Register Anywhere in Order to Use Life Card? No, using the device is not subject to registration. It is nevertheless important that the person who obtains the Life Card provides necessary data on their health, so that this information can be registered in the Life Card systems. Such information is indispensable for efficient and effective operation not only of the system but also of the emergency personnel providing assistance to the patient. Will a Senior Citizen be Capable of Operate the Solution? Yes, the device is maintenance-free. Those possessing the Life Card need not worry about its configuration or settings. Everything is done via remote control. The only situation in which users will have direct contact with the device is when they need to use it as Life Button. This solution will be available soon. What Actions do Medical Services in the Event that an Emergency Call is Made Using Life Card? All a rescuer need to is ensure they have with them a mobile device with an application that can read information from Life Card. When on the spot, the application installed on the device will automatically load the necessary information. How will Rescuers who arrive on a Sudden Request Know that the Patient has a Life Card at Home? The paramedics will have a mobile device with an application for reading the data from Life Card. At the moment a tablet or smartphone comes within the range of Life Card, all the data on the health of patient will be displayed on the screen. Undoubtedly, minimizing the actions that a paramedic must undertake in order to obtain vital information is a great advantage of the solution. Is Life Card Synchronized/Connected with Other Comarch Healthcare Applications? At present, work is in progress on developing a system where each Life Card will be inventoried. This module will store information personalizing each Life Card. Are There Plans to Introduce More Functionalities to Life Card? Yes, in a short time we will introduce three new functionalities. These will be a fall alert, an immobility sensor, and a Life Button, the activation of which sends a signal to the Remote Medical Centre requesting intervention. All these will be integrated in a so called Life Bracelet – a device with GSM connectivity, worn by the patient/senior on the wrist. What is the Range of Life Card? The range is determined by Bluetooth 4.0 technology. It may be regulated depending on, for example, the location of a specific Life Card. As standard, the range will be several meters. Nevertheless, one should remember that the maximum range of beacons is nearly 70 meters. Can a Single Life Card be Used by More Than One Person? No, one Life Card can be used only by one person. It is a personalized device unequivocally indicating data on a specific person. An increasing number of people interested in new solutions that allow more efficient contact between medical services and patients emphasize particularly the functionalities of Life Card, developed by Comarch Healthcare. The advantages of beacons include the rapid transfer of medical data to medical staff, and an increased sense of security for patients, due to the great reduction in the possibility of errors occurring during emergency actions. Thanks to the solution applied by Comarch Healthcare, instant action by rescuers is made possible, as is instantaneous sms notification to the Life Card user’s family. The Comarch Healthcare Life Card is undoubtedly an innovative solution setting new standards in remote healthcare.